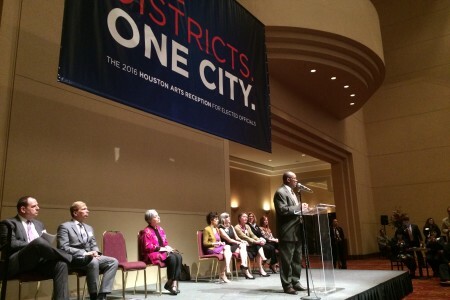 The iconic Houston artist’s sculpture has just been unveiled in the First Ward. If you’re not familiar with David Adickes’ name, you may be familiar with his work. Such as the big We Love Houston sign on I-10 near The Heights. Now, his newest piece is up. “The sculpture is called, ART. It’s sort of a vertical version of my We love Houston,” Adickes said while on site in front of the new Silos on Sawyer, just west of downtown Houston. 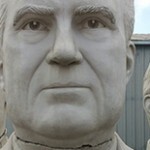 He was sporting his shades and tennis shoes as men in a cherry picker were putting on the finishing touches. 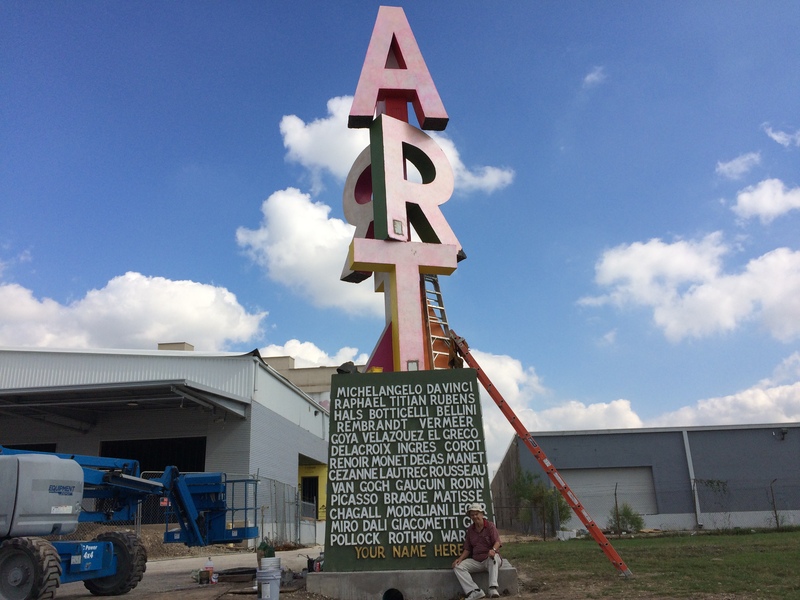 The 35-foot concrete sculpture spells out the word “art” in colorful letters stacked on top of each other. The pedestal contains names of historical artists, but with a unique twist. The installation coincides with a milestone event in the area. As the creative campus on Sawyer Street continues to expand, Adickes is already getting set for his next “bookend” piece, as he calls it. In this case, he’s calling it Art is Fun. 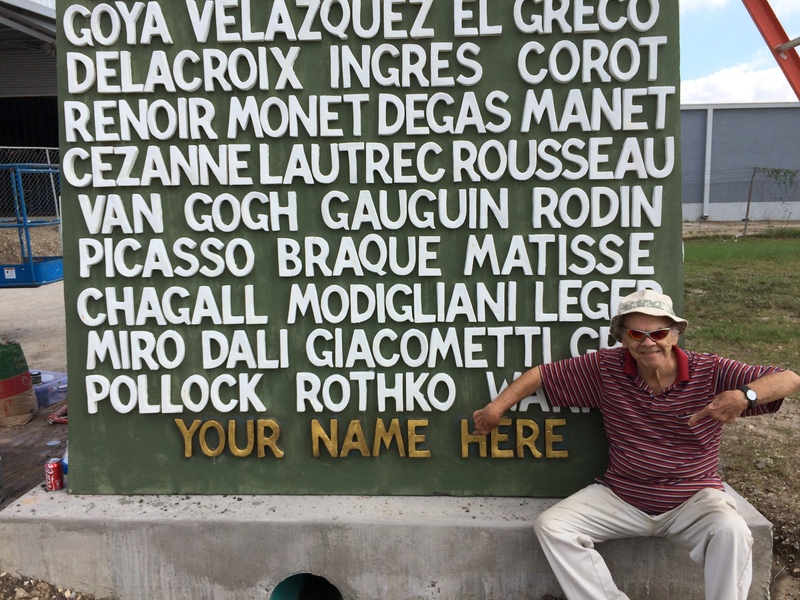 Adickes calls the sculpture a “selfie spot,” where people can snap a shot of themselves with the list of historic artists.